Day 1: Start by sponsoring yourself for $30. Set up your personal Kidney Walk fundraising webpage and email your friends to sponsor you. Day 2: Ask two family members to sponsor you for $30 each. Day 3: Ask four friends to contribute $10 each. Day 4: Ask three co-workers to sponsor you for $10 each. Day 5: Ask four neighbors to contribute $10 cash. Day 6: Ask your boss for a company contribution of $50. Day 7: Ask a business you frequent for $50. The key is to ask! The answer is always no, unless you ask! Four-year-old Andrew Johnson is an energetic kid who loves preschool, swimming and ice skating. No one would believe that at one point, medical professionals didn’t think Andrew was going to have a chance at a normal life. Only 19 weeks into her pregnancy, Tara Johnson and her husband, Kevin, learned that their baby had a serious blockage in his urethra. When he was born, it was discovered that the blockage had caused severe kidney damage. Within a year, baby Andrew was placed on dialysis while Tara and Kevin struggled to get him to a proper weight so he could be eligible for a life-saving kidney transplant. 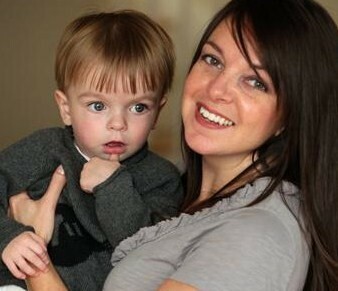 Then in March 2011, Tara gave Andrew life for the second time, when she donated one of her kidneys. And today, he’s no different than any of his peers. “It’s funny what a new kidney will do to you,” said Tara. And yet, the Johnsons are already planning for Andrew’s next challenge – the likelihood that he will need another kidney in his teenage years. Kevin is a blood type match and will likely be the next donor in line. The Johnson family is now using their story to spread awareness about kidney disease and the need for organ donors and kidney research. The family participated in the Boston Kidney Walk in October. We could not fulfill the mission of the National Kidney Foundation without the support of our volunteers and partners. We are pleased to welcome back Equus Capital Partners and Madison Apartment Group for their third year as National Teams for Kidney Walk. Both teams started particpating in their local Kidney Walk in Philadelphia and have grown to involve thier staff across the country. THANK YOU EQUUS and MADISON for all your support! Equus Capital Partners, formerly BPG Properties, Ltd. is one of the nation’s leading private equity real estate fund managers. Equus’ portfolio consists of over 24 million square feet of office, retail, student housing, and industrial properties and more than 18,000 apartment units in over 70 communities located throughout the United States. The firm is headquartered in the Philadelphia area with regional offices in Los Angeles, Chicago, Washington DC, Boston, Atlanta and Raleigh-Durham. For additional information, please visit the company’s website at www.equuspartners.com. Madison Apartment Group, L.P. is the multi-family operating arm of Equus Capital Partners, Ltd., one of the nation’s leading private equity real estate fund managers. Since its formation in 2001, Madison has overseen the operations and management of Equus’ multi-family interests throughout the United States. Currently, the company manages nearly 18,000 apartment units in over 70 multi-family communities on behalf of Equus. For additional information, please visit the company’s website at www.madisonapartmentgroup.com. Mike’s kidney problems began when he was still a teenager. At the time, he was having trouble walking and his legs were hurting. Investigation by doctors found that one of his kidneys had failed and the other was following suit. In July of 2002, Mike received the first kidney from his mother Fiona. It was a gift that lasted nine years until 2011 when the medications he was taking to prevent his body from rejecting the donated kidney were found to be damaging the very organ that was keeping him alive. Mike was placed on dialysis for most of 2011 when his fiancé, Colleen, stepped forward to be his second donor. Mike is now using his story to spread awareness about kidney disease and the need for organ donors. He and his wife both participated in the Boston Kidney Walk on October 28.